Well, that was the summer then. Not much to write home about, was it? What made it even worse was that most of Europe has been basking in glorious sunshine with temperatures in the high 80s (old money). This side of the Channel we've struggled to coax the thermometer into the low 70s, while at the same time being washed away by the constant rain. As we enter September, however, and the evenings noticeably draw in and it's dark at 5.30 in the morning, there is still plenty to look forward to. Actually, this is my favourite time of the year as two major events on my calendar take place. On the non-birding side I'm looking forward to the Brisca F1 Stock Car World Final at King's Lynn in less than a fortnight – always a spectacular night's racing. But on the birding side it is the autumn migration I'm champing at the bit to get stuck into. It already kicked off a couple of weeks ago, with plenty of migrants heading south. Swallows and Sand Martins gather in large numbers on the coast, feeding up ready for the journey south and the Swifts have all but gone now – I saw one lone bird yesterday afternoon at Seaford. It is the time of year to see migrating Ospreys, Pied and Spotted Flycatchers, Redstarts, Whinchats and, of course, Wheatears. Locally, the major bird-watching sites have all come into their own. 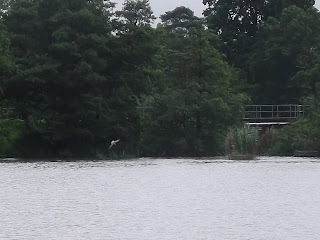 Beddington, Tice's Meadow, Leith Hill, Staines Reservoir and Moor, have all had a busy time with decent amounts of migrant bird sightings. 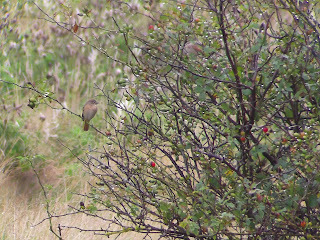 On Wednesday Lee Dingain discovered a Barred Warbler on Staines Moor and was it still present today. 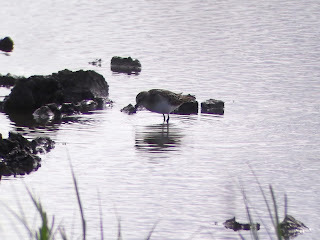 At Beddington, in particular, there have seen some decent waders including a Pectoral Sandpiper, Wood Sandpiper and Spotted Redshank, while there have been plenty of passerine movement with Whinchat, Spotted Flycatcher and Redstart. The highlight, however, was a Quail found by Roy 'Bulldog' Dennis on August 25. Around the coast the rare birds are starting to congregate. It is a great time to catch up with Wrynecks and Red-backed Shrikes. I saw the stunning male Red-backed Shrike at Cuckmere Haven a couple of weeks ago but until yesterday I hadn't connected with a Wryneck. Not that I haven't tried. It has been a frustrating time, mainly due to the weather. Whenever I've had a few hours spare to go visit the Sussex coast, the weather has been horrible. Rain, rain, and more rain. A visit to Shooters Bottom, near Beachy Head, last week ended in dismal failure and even worse was a ridiculously optimistic trip to Church Norton on Bank Holiday Monday. A total washout. 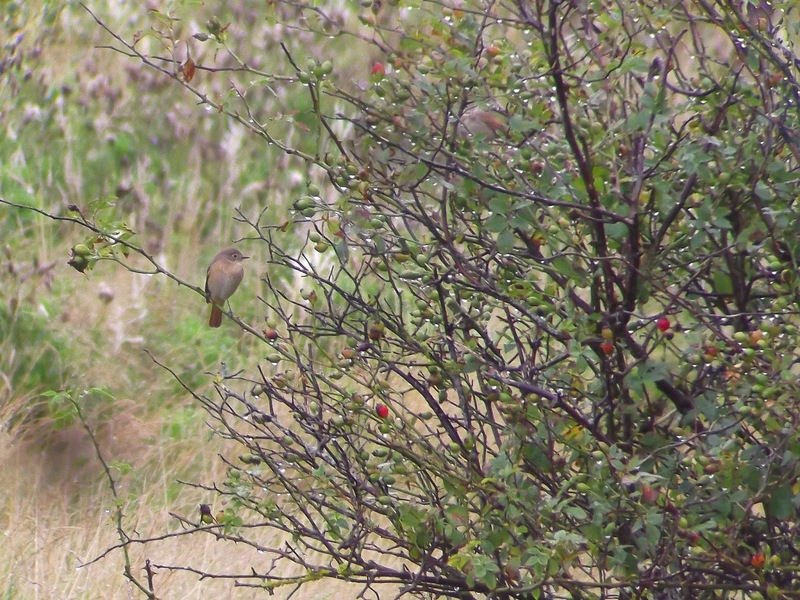 The highlight during both visits were two Whinchat and a pair of Common Redstart. Prior to that I spent a couple of hours at Oare Marshes on the way down to Margate (plenty of Wheatear there on the Bethesda Medical Clinic lawn) to visit my mum. 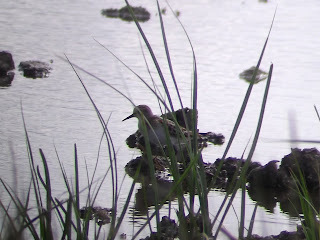 The highlight here were two Little Stint, one in summer plumage, the other in winter garb. 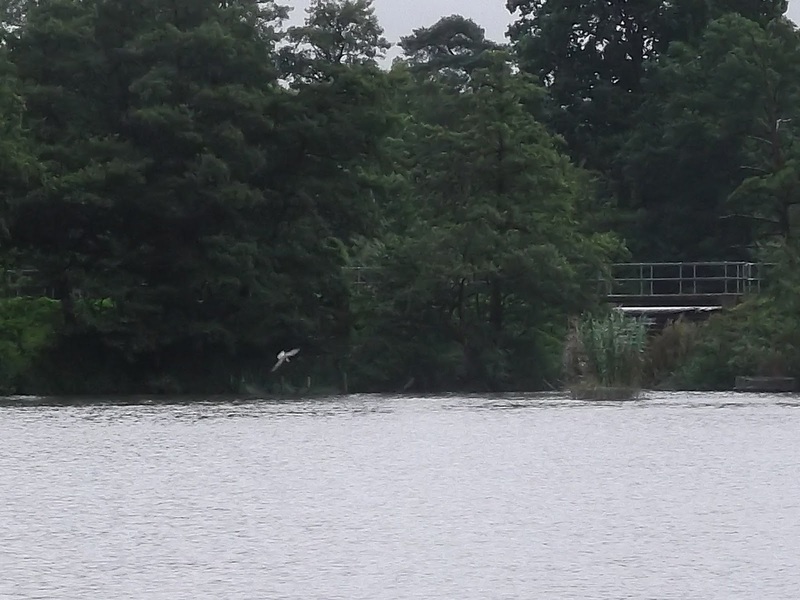 Then ten days ago a juvenile Black Tern arrived at Earlswood Lakes, just south of Redhill – a really smart bird – that I went over to see feeding in the rain prior to work. 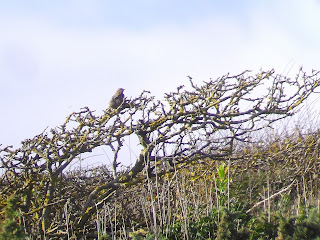 My luck searching for a Wryneck changed on Tuesday. An individual without a tail, found by Matt Eade a couple of days earlier at Hope Gap, was still present, along with plenty of other migrants. The weather looked OK so mid-afternoon, I also headed south. A huge rainstorm had just passed through the area but the clouds soon dispersed and the sun poked through. Hope Gap on a still, sunny day is a fabulous place to visit. The view is always memorable across to the Seven Sisters. I met up with another birder and we trolled the area at the bottom of the Gap for an hour, but it transpired we were looking in the wrong area. Matt's dad Bob arrived soon after and while I was searching around further up the hill, the Wryneck was found up on the hillside in a favoured spot to the right as you walk towards Seaford Head. He showed pretty well for about 45 minutes, while mobile at times. 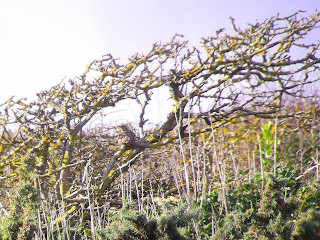 He wasn't exactly the smartest Wryneck you will ever see – he looked a bit strange with a stumpy rear end – and he was a bit worn. This Wryneck had obviously had a hard summer and presumably must have narrowly escaped the clutches of a predator, hence the missing tail. 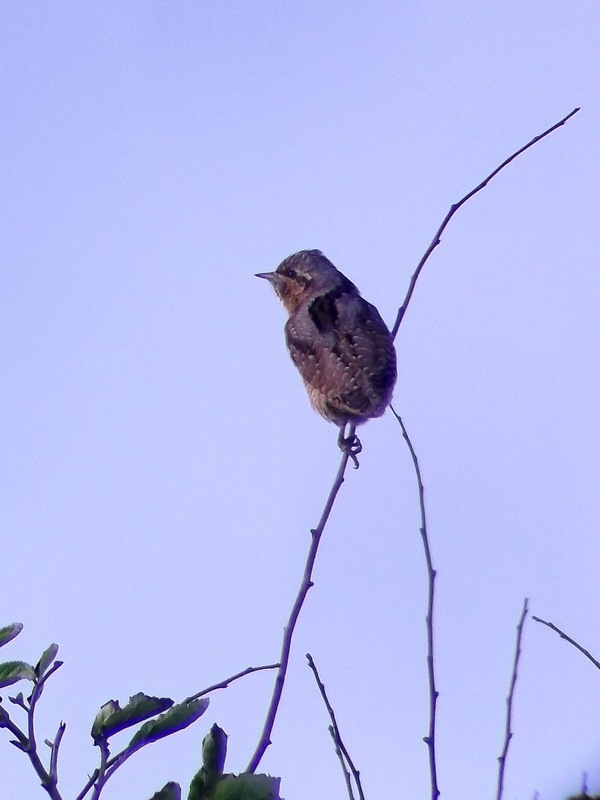 Keeping the Wryneck company were at least six smart Whinchat and numerous Wheatear. After probably leaving it too long I dashed up to Staines Moor this evening in an attempt to connect with the Barred Warbler. It has proved frustrating for many, while giving good views to others. I wasn't one of the lucky ones. More Whinchat and Wheatear kept me company though. More trips out are planned in the coming days but the one I'm most looking forward to is a three-day visit to Spurn in a couple of weeks. If the winds turn easterly while I'm there I will be more than happy.